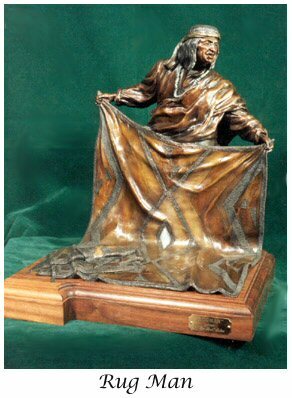 Whether you're seeking steel or bronze sculptures, or oil paintings, — Gil "Levi Hawk" Melton Fine Art can help. In business for over 40 years, Levi Hawk offers honest, hard work in creating amazing art with his own two hands. 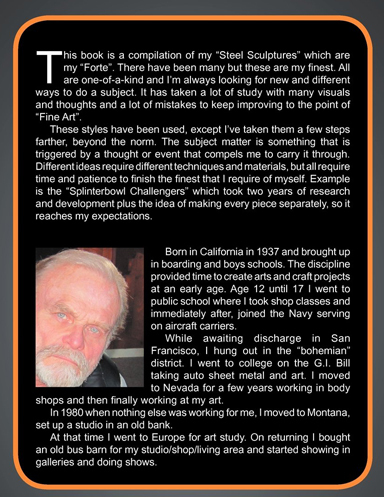 Headquartered in Great Falls, Montana, Levi Hawk works in a unique space that is half shop and half art gallery. When it comes to describing his work, he does not embellish the details of his pieces. 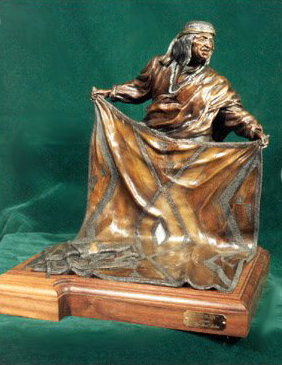 In October of 1991, Gil received the Best of Show award from C.M. Russel Museum Miniature Art Show. If you're looking for a beautiful piece of art that is built to last, contact Gil "Levi Hawk" Melton Fine Art. Levi Hawk has created eagles and other birds of prey sculptures made of recycled metal found locally in Montana and Nevada. 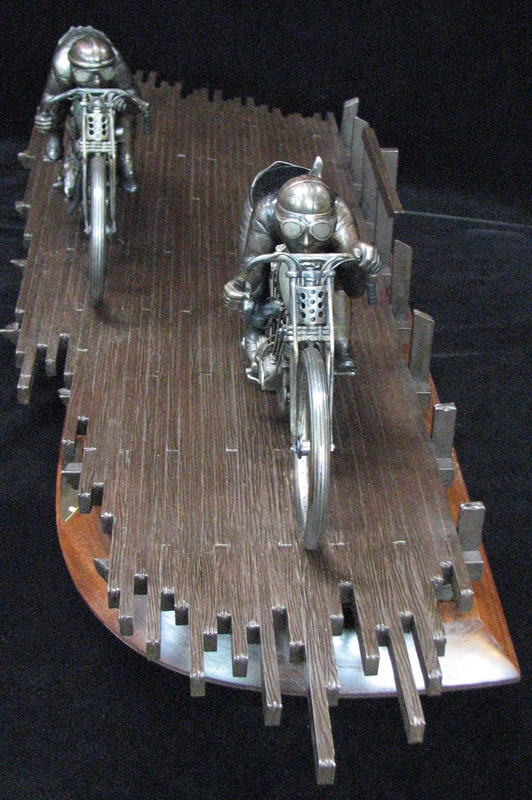 All of his steel sculptures are one-of-a-kind, there will be no reproductions. 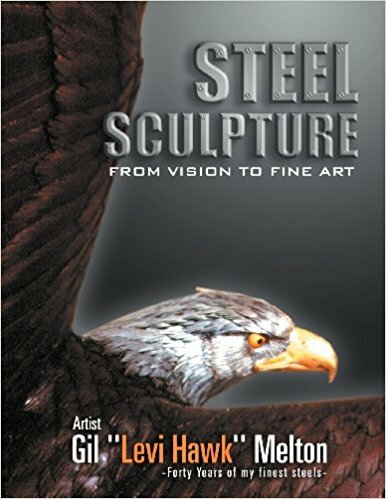 His steel sculpture art is perfect for nature lovers, as well as Harley-Davidson riders and collectors. These one-of-a-kind pieces can be a magnificent addition to any collection. While in college, Levi Hawk learned how to do auto body work along with learning how to work with metal and art paintings. Over the years since then, he's created many fantastic pieces, some of which have been shown in galleries at the MGM Grand in Las Vegas and Reno in the late '70s. 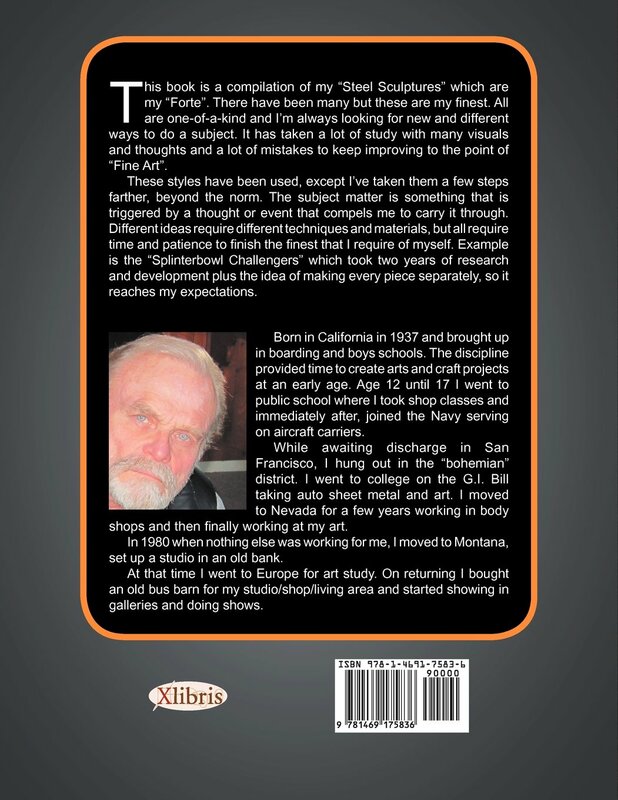 Since that time he has shown and sold his art throughout the West and Southwest. Gil is now offering autographed copies of his book, Steel Sculpture: From Vision To Fine Art, worldwide. Please call if you'd like to order a copy — please note that we only accept checks, and no state or local taxes are included with any book or art purchases directly from the artist. BOARDTRACK RACER ART for Sale!!! Levi Hawk's latest creations, "Wrecking Crew," "Boardtrack Indian," and "Boardtrack Legend" are available now! 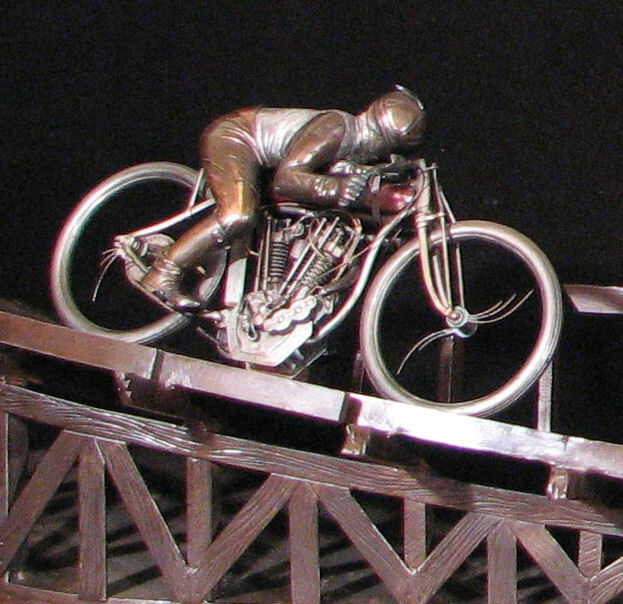 These fascinating and captivating fine art pieces depict early 1920s board track racers. It took him three years to create these amazing works of art. 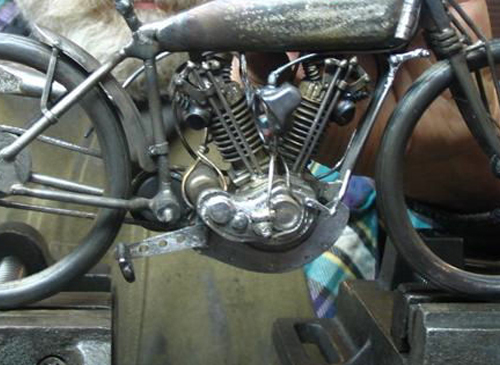 The original, one-of-a-kind pieces were created by hand and crafted in steel with no castings. 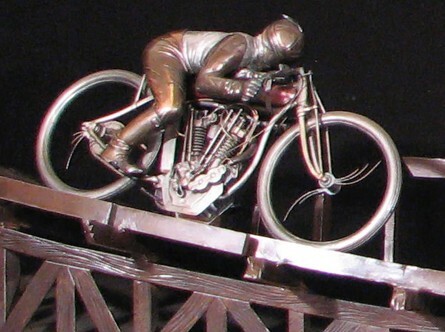 Each mounted on a walnut base, with turn tables on the single riders, with 11" over-all motorcycles and riders on the board track.